The following selection of posters were designed for clients or as personal projects. This first set of posters were created whilst I was working for Juice Creative Design. 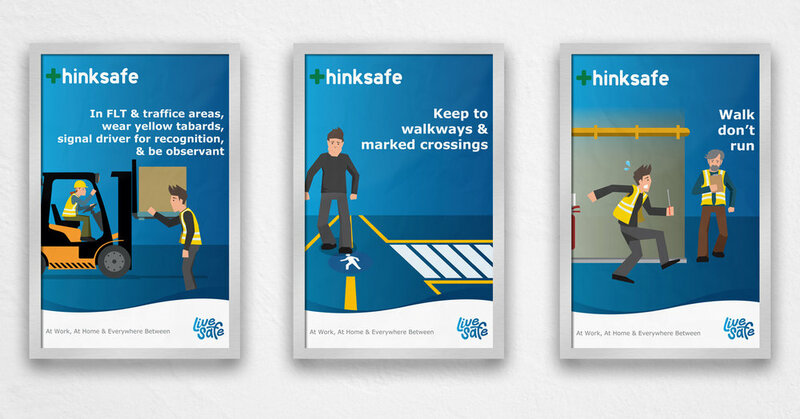 They convey health & safety messages in a humorous and eye catching way. The character illustrations were all based around a single stock image that was used in the original look & feel. I took that and created the additional poses, people, locations and situations to highlight each message.